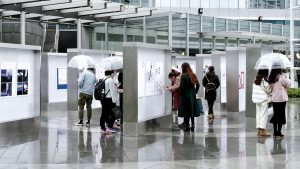 YTAA 2018 EXHIBITION AT ZHAW IN WINTERTHUR (SWITZERLAND) AND FINISSAGE EVENT! From from April 15 to May 9, 2019 the works of the YTAA 2018 will be displayed at ZHAW in Winterthur, Switzerland. Along with the exhibition, a finissage event will take place on May 9, 2019 at the ZHAW Zurich University of Applied Sciences. The guests of the event will be the winners of YTAA 2018, Hendrik Brinkman, Julio Gotor Valcárcel and Matthew Gregorowski together with Ana Betancourt, member of the jury of YTAA 2018 and Anna Ramos, director of Fundació Mies van der Rohe. The debate will be moderated by Oya Atalay Franck, Director of the School of Architecture, Design and Civil Engineering at ZHAW Zurich University of Applied Sciences in Winterthur and President of EAAE. True to the motto “Architecture is always an expression of our society and groundbreaking for the design of our future living spaces”, Jansen AG supports the “Young Talent Architecture Award” and ZHAW’s event as main sponsor. World-Architects support the event as founding partner of the Young Talent Architecture Award. The Creative Exchange 2019 will take place from 13th to 15th February at the Museum of Architecture and Design (MAO) in Ljubljana. During the Creative Exchange 2019 architects, institutions, producers, curators and other professionals will present their projects with talks and conferences. Fundació Mies van der Rohe will be represented by Ivan Blasi (Curator Prizes and Programs) and the Winners of the Young Talent Architecture Award 2018, Julio Gotor Valcárcel, Hendrik Brinkman and Matthew Gregorowski, will participate on Friday, 15 February to the Matchmaking Conference together with the selected 21 ideas from the 357 received at Call for Ideas 2019. The works have been selected by Future Architecture members and 2018 alumni. More information at Fundació Mies van der Rohe. YTAA 2018 EXHIBITION STOPS IN MALAGA, SPAIN! From February 18 until March 29, 2019 the works of the YTAA will be displayed at Malaga University ETS Architecture. The catalogues of the YTAA 2016 and 2018 are available to purchase. The catalogues of the YTAA 2016 and 2018, that incorporate images, plans and information from the Shortlisted, Finalists and Winners are now available at shopmies. Beside the Young Talents’ projects, the books include some of the graduation projects of renowned architects such as Alvaro Siza, Zaha Hadid or Pieter Bannenberg and Kamiel Klaasse from NL Architects, as well as texts by the jury. On 20th September 2018 we celebrated the granting ceremony of Young Talent Architecture Award 2018 with a debate on the topic of Heritage after which the winners were awarded. Here you can see the video summary of the event made possible thanks to the support of Fundació Mies van der Rohe, Creative Europe, European Association for Architectural Education, Architects’ Council of Europe, world architects, European Cultural Centre, JUNG, Jansen AG, USM Modular Furniture, Future Architecture and La Biennale di Venezia. Video production: European Cultural Centre with Fundació Mies van der Rohe. 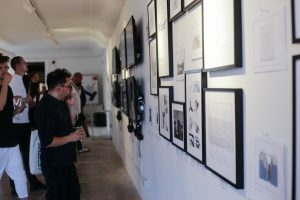 YTAA 2018 EXHIBITION IN GRANADA, SPAIN! From November 22nd until November 30th, the works of the Young Talent Architecture Award 2018 will be displayed at ETSAG and organized by ASEJA Asociación de Estudiantes y Jóvenes Arquitectos in Granada, Spain. The projects are displayed separately as: nominated projects per school, shorlisted projects and winning & finalists projects in order to explain the YTAA as a discussion and selection process. 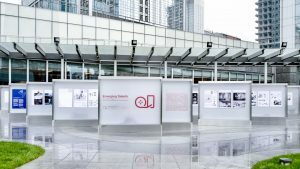 YTAA 2018 EXHIBITION IN CHENGDU, CHINA! From tomorrow, Saturday 17th November, you can visit the exhibition of the YTAAward 2018 at Chengdu IFS Skylark Gallery, Chengdu, China. Photo Courtesy of Dang Yuanye. On Monday 22nd October at 19:00, don’t miss the conversation on heritage and legacy between YTAA 2018 shortlisted students from Europe, China and Korea. Hendrik Brinkmann, Iwo Borkowicz and SungBum Heo will present their projects that will be followed by a discourse between leading architects Wang Shu (the 2012 Prizker Prize Winner) and Paul Robbrecht (from Robbrecht en Daem architecten). The event, moderated by Ivan Blasi (curator Prizes and Programs of the Fundació Mies van der Rohe) and Véronique Patteeuw (Belgian professor and editor), will be taking place within the framework of ASEM cultural programme and hosted by BOZAR. YTAA 2018 EXHIBITION IN MADRID, SPAIN! YTAA 2018 Exhibition will be presented for the first time at ETSAM Madrid. With the aim to open a debate in schools on how architecture is taught, from 19th October to 9th November 2018, visit the exhibition at ETSAM Madrid. By showing together all the Graduation Projects presented in the Young Talent Architecture Award 2018, we have an overview of the subjects that have been discussed by students and professors in European Schools, with China and South Korea as guest countries, during the last two years. This is the first time the YTAA 2018 exhibition is presented after the Award Ceremony celebrated the 20th September in Venice. On 20th September 2018 we celebrated the granting ceremony of Young Talent Architecture Award (YTAA), that brings together the best graduation projects from European architecture, urban planning and landscape schools. The Young Talent Architecture Award (YTAA) is organised by the Fundació Mies van der Rohe with the support of Creative Europe as an extension of the EU Prize for Contemporary Architecture – Mies van der Rohe Award. 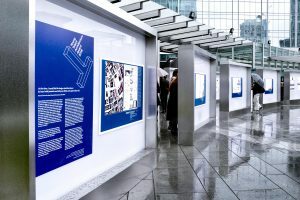 It is organised in partnership with the European Association for Architectural Education and the Architects’ Council of Europe; and world architects as a founding partner; the European Cultural Centre as a partner in Venice; sponsored by JUNG and Jansen AG; and with the support of USM Modular Furniture. The Young Talent Architecture Award Exposition is a Collateral Event of the 16th International Architecture Exhibition – La Biennale di Venezia. Thank you Future Architecture for the support. Photo courtesy of European Cultural Centre. Please confirm you will be attending by checking in here. The European Commission, the Fundació Mies van der Rohe, the Architects’ Council of Europe and the European Association for Architectural Education are proud to announce the winners of the Young Talent Architecture Award 2018. Faculty of Architecture and the Built Environment Delft University of Technology. Read more about the Winners on the Press Release. 28TH JUNE 2018 WINNERS ANNOUNCEMENT. The 4 winners of the Young Talent Architecture Award 2018 will be announced on 28th June 2018. Selected by the Jury among 334 projects submitted by 451 students from over 118 Schools and 99 cities, on 28th June the 4 winners of this second edition of Young Talent Architecture Award (YTAA) will be released. 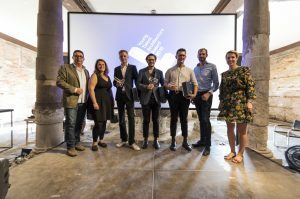 YTAA Winners are supported in the creation of a network with the architects and critics involved in the European Union Prize for Contemporary Architecture – Mies van der Rohe Award. – USM furniture to design their work space. Each Winner is asked to define a YTAA Plan of Action, which is prepared on reception of the Award, and to deliver a YTAA Final Report outlining the experience twelve months later. Don’t miss the opportunity to see all nominees projects of this YTAA 2018 HERE. YTAA 2018 EXHIBITION IS NOW OPEN. “Young Talent Architecture Award. YTAA 2018” Exhibition opened on 26th May 2018 at the European Cultural Centre – Palazzo Mora as a Collateral Event of the 16th International Architecture Exhibition – La Biennale di Venezia. The exhibition will be open daily from 10 to 18 until 25th November 2018. It is closed on Tuesdays and the entrance is free. 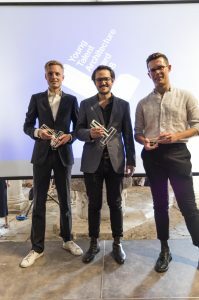 Fundació Mies van der Rohe and Creative Europe announced the 12 finalists projects that compete to be the next winners of the Young Talent Architecture Award (YTAA) 2018, Europe’s youngest architecture talent. May I use the front/backdoor?, Nele Bergmans. The Citadel of Tides, Marie Moors. Neue Bau Akademie Berlin – a club for the former & future architecture, Hendrik Brinkmann. Ceramics – Design of a factory, Sina Pauline Riedlinger, Franziska Käuferle. Last Landscape, Simone Marchetti, Sofia Paoli, Beatrice Maria Rogantini Picco. House, Kitchen, Garden in Alcácer do Sal, Pedro Frade. Perdido (Lost) -P.R.U.S. of Madrid, Julio Gotor Valcárcel. The Fallen Monuments of Egerkingen, Eva Lanter. The Bank of England: a dialectical project, Loed Stolte. Among 334 projects submitted by 451 students from over 118 Schools and 99 cities, the Jury has selected 40 shortlisted projects that will compete as finalists of the second edition of Young Talent Architecture Award (YTAA)! Água Espraida Urban Integration, Beatrice Gevi. Benevolent Scarring, Sean William Murphy. Between the Limit and the Trench, Margarita Zakynthinou-Xanthi, Elena Mylona, Zoi Tzounidou. Build to make a change, Francesca Vittorini. City of Fatigue, Joon Il Myeong. Crafting the disused, Frederice Koch. Forms of defence, Enrico Miglietta. Hong Kong – New New Territories, Caterina Barbon, Matteo Vianello, Tommaso Petrosino. Interstices of Urban Dualism in Maputo, João Pedro de Brito Oliveira. Kifufu Integrative School, Michael Schwarz, Paul Gröfler. Lasvit flagship store, Filip Galko. Manufaktur Schloss Welsberg, Stefan Prattes. Neue Bauiakademie Berlin – a club for the former & future architecture, Hendrik Brinkmann. Old Brickyard – Landbad Bordenau, Nick Chadde. Public Bath, Leslie Rahel Majer. San Junipero, Ara Gonzalez Cabrera. Søminedepotet, As Found, Greta Caterina Malavolti. Symbiosis in Hutong: Community Center in Historic District, Mengjia Liu. The Agonistic City, Benjamin Wells. The Common House, Jacob Höppner. The Permanently Temporary, Viktória Sándor. Thick brick building in Munich, Mari Brorsen, Max Panhans, Vanessa Salm. Towards a new individual place: A self-sufficient community, Guillem Pascual Perelló. YTAA 2018 AT LA BIENNALE DI VENEZIA AS COLLATERAL EVENT. 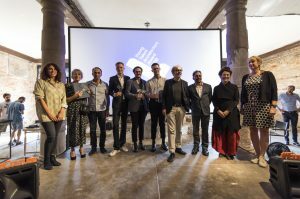 The Collateral Event will be a comprehensive exhibition taking place at Palazzo Mora, Cannaregio, that will present the designs of the YTAA 2018 shortlisted works including the 12 finalists and the 4 winners. Together with images and drawings, videos are used to explain the graduation projects. 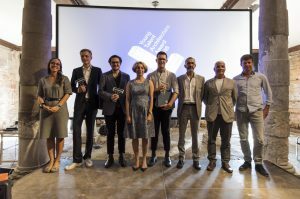 In the framework of the 16th International Architecture Exhibition – La Biennale di Venezia, the winners of the YTAA will be honoured during an awards ceremony that will take place in Venice on September 20th 2018. The ceremony will be also complemented with a debate on the main topics of the “European Year of Cultural Heritage” organised by the European Commission, and those issues which will arise from the results of YTAA. YTAA 2016’S PROJECTS CONTINUE TO CREATE SPACE FOR DEBATE INSIDE EUROPEAN SCHOOLS. If you are an Architecture School or Institution and want to host the exhibition check the full procedure here. THE YTAA 2016 EXHIBITION CONTINUES ITS JOURNEY AROUND EUROPE! The works of the Young Talent Architecture Award 2016 will be displayed at the Faculty of Architecture KU Leuven in Ghent from February 26th to March 12th. This new stop of the exhibition shows the 211 Graduation Projects that were nominated for the Young Talent Architecture Award (YTAA) 2016. The aim is to keep talking about future architects and architecture inside universities creating time and space for debate. KU Leuven has already enrolled to YTAA 2018, if you want to subscribe, you will find more information here. Our winners of the YTAA 2016 will be giving a lecture at the Museum of Architecture and Design (MAO) in Ljubljana, Slovenia in the frame of the Creative Exchange 2018 by Future Architecture Platformn co-funded by Creative Europe. Creative Exchange 2018 by Future Architecture co-funded by Creative Europe is a European gathering for architecture and design lovers and professionals. As a multi-day public event with lectures, talks, presentations and cocktail pitches, Creative Exchange will enable meetings and live interaction between cultural operators, emerging creatives and audiences through various formats. Applicants of the Call for Ideas, platform members and other cultural operators in architecture and design will present their latest developments, new projects and new ideas. THE YTAA 2016 EXHIBITION CONTINUES ITS ITINERANCY! >> Faculty of Architecture – University of Ljubljana, until December 22nd. >> ETSAE – University of Cartagena, until Februray 1st 2018. The exhibition of the YTAAward 2016 has been designed as an easy download and print format to keep things simple and accesible for any Architecture School and Institution which wishes to host it. If you want to host the exhibition, check the full procedure here. The exhibition, organised by Fundació Mies van der Rohe presents at Tongji University, China, displays the 211 Graduation Projects that were nominated for the Young Talent Architecture Award 2016. From October 10th until December 31st. This is the first stop of the exhibition out of Europe. Other Architecture Schools will follow suit, with the aim to discover how architecture studies are being carried forward and to open the debate on how architecture is taught. 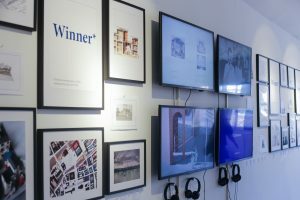 Projects are displayed separately as Nominees, Shortlisted, Finalists and Winners in order to explain the YTAA as a discussion and selection process. By highlighting the results of YTAA 2016 the intention is to transmit the enthusiasm to architecture students and schools and encourage them to take part in the upcoming YTAA 2018! YTAA 2016 EXHIBITION IN MADRID, SPAIN! The exhibition presents the 211 Graduation Projects that were nominated for the Young Talent Architecture Award (YTAA) 2016. 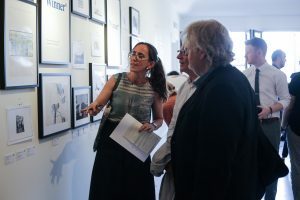 This is the third stop of the exhibition in Spain and, others Architecture Schools will follow suit, with the aim to discover how architecture studies are being carried forward and to open the debate on how architecture is taught. YTAA 2016 EXHIBITION IN MÁLAGA, SPAIN! 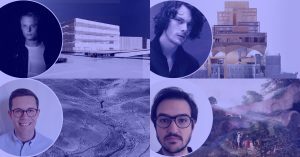 From June 16th until July 1st, the panels of the 211 nominated works for Young Talent Architecture Award will be displayed at ETS Architecture – Universidad de Málaga. The exhibition presents the 211 Graduation Projects that were nominated for the Young Talent Architecture Award (YTAA) 2016. This is the second stop of the exhibition in Spain (after the first one in Barcelona). Others Architecture Schools will follow suit, with the aim to discover how architecture studies are being carried forward and to open the debate on how architecture is taught. YTAA 2016 EXHIBITION IN GERMANY! From 7 to 30 June, the panels of the 211 nominated works for Young Talent Architecture Award will be displayed at Neubrandenburg University of Applied Sciences in Germany. The exhibition presents the 211 Graduation Projects that were nominated for the Young Talent Architecture Award (YTAA) 2016. This is the first stop of the exhibition in Germany and others Architecture Schools will follow suit, with the aim to discover how architecture studies are being carried forward and to open the debate on how architecture is taught. YTAA 2016 EXHIBITION IN BUCHAREST! The YTAA exhibition starts its European itinerary by Romania within the framework of the event SHARE Bucharest 2017 International Architecture and Engineering Forum. The panels of the 211 nominated works for Young Talent Architecture Award will be displayed at JW Marriott Bucharest Grand Hotel, bringing together the most talented recently graduated architects and the best architecture firms of Europe. Opening on March 21st! More information here. HOST THE EXHIBITION OF THE YTAA 2016 NOW! The Fundació Mies van der Rohe encourages the institutions to host the exhibition of the YTAA 2016! 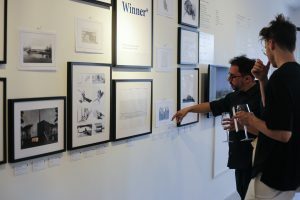 The exhibition presents the 211 projects nominated for the award. 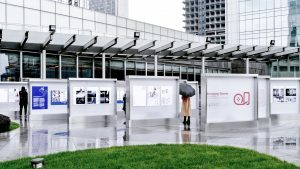 The exhibition has been designed as an easy download and print format to keep things simple and accesible for any Architecture School and Institution which wishes to host it. Full procedure available here. Don’t miss this opportunity! YTAA 2016 – EUROPEAN ARCHITECTURE SCHOOLS SHOW THEIR GRADUATION PROJECTS! The exhibition presents the 211 Graduation Projects that were nominated for the Young Talent Architecture Award (YTAA) 2016. The exhibition will be presented for the first time in ETSAB Barcelona, others Architecture Schools will follow suit, with the aim to discover how architecture studies are being carried forward and to open the debate on how architecture is taught. The Winners of 2016 Young Talent Architecture Award have been anounced this evening at Teatro Piccolo Arsenale, in Venice! Policarpo del Canto Baquera with the project “GeoFront. Strategic development plan for the frontier territories” from Madrid School of Architecture, Polytechnic University of Madrid. Check the winners and all 2016 submitted projects here. Among the shortlisted of this YTAA 2016, 9 Finalists have been selected! Congratulations! We are looking forward to seeing everyone at the Granting Ceremony on 28th October 2016 at Teatro Piccolo Arsenale in Venice. Check the finalists projects here. Among 211 projects submitted by 268 students from over 100 Schools and 86 European cities, the Jury has selected 30 shortlisted projects that will compete as finalists of the first Young Talent Architecture Award (YTAA)! You can check all the projects and student profiles here. If you want to attend the YTAA granting ceremony, register now for the SHAPING EUROPEAN CITIES debate, collateral event of the 15th International Architecture Exhibition – La Biennale di Venezia. Register now here! The event will take place on October 28 at Teatro Piccolo Arsenale in Venice and is open to everybody who is interested in the dialogue between architects, policy makers, politicians and representatives of other sectors and will culminate in the Young Talent Architecture Award ceremony. LAST DAY TO UPLOAD THE DESIGNS! Today is the last day for the YTAA nominees to upload their designs. If you are a recently graduated architect nominated in the YTAA – Young Talent Architecture Award today is the last day to upload your design! Don’t miss the deadline and click here. DEADLINE FOR SCHOOL REGISTRATION EXTENDED! The deadline for School Registration in the Young Talent Architecture Award has been extended to 29th of July 2016. Nominations for work to be considered for the YTAA will be put forward by representatives from each School eligible to participate in the YTAA. The number of designs that each School can submit/nominate will be in accordance with the total number of students at that School. To register click here. MORE THAN 75 SCHOOLS ARE ALREADY REGISTERED! YTAA promotes debates between students and professors from each participating School to choose those projects that will represent it. The presence of a YTAA Representative at each School will be essential in order to summarise this internal debate by nominating the projects that will participate in the award. Be the next School to register in! You will find the School registration form here. ASK YOUR SCHOOL TO PARTICIPATE! Do you want to take part in the Young Talent Architecture Award? Go and ask your school to participate! Does your school know about the YTAA yet? Tell them about it and take part! To participate, Schools must first register, after which they will be invited to submit candidates until 15th July 2016. The number of designs that each School can submit/nominate will be in accordance with the total number of students at that School. To register click here. The first step to participate in the Young Talent Architecture Award is School registration. Once registration is complete the School will receive a confirmation message. To participate, Schools must first register, after which they will be invited to submit candidates until 15th July 2016. Nominations for work to be considered for the YTAA will be put forward by representatives from each School eligible to participate in the YTAA. The number of designs that each School can submit/nominate will be in accordance with the total number of students at that School: read more on the YTAA process, download Rules .pdf file.